Redgrave was born in London in 1937 and studied acting at London’s Central School of Music and Dance. Her family has a long and glorious tradition in film and on the stage. Her paternal grandfather, Roy Redgrave, was one of Australia’s most famous silent movie actors. Her father, Michael, and her mother, Rachel Kempson, were members of the Old Vic Theater. Her father, in particular, was also a well-known movie actor. Right from an early age, Vanessa was a successful stage actress and she debuted on the silver screen alongside her father in 1958 in the comedy Behind the Mask. She then dedicated herself to theatre and became a member of the Stratford-upon-Avon Theater Company. This is where she met director Tony Richardson, who, in the early 1960s, became her husband and directed her in Shakespeare plays. In 1966, Redgrave returned to the silver screen in Morgan: A Suitable Case for Treatment, by Karel Reisz, which won her the award for best actress at Cannes and her first Oscar nomination. Always in 1966, she performed in Blow-up by Michelangelo Antonioni. The topic of incommunicability, one of the Italian director’s favorites, found a perfect interpreter in that young, enigmatic woman who can express herself almost without speaking. One year later, Joshua Logan brought her to the United States to shoot Camelot, after which Vanessa returned to Europe for two more films directed by Richardson, The Sailor from Gibraltar, and in 1968, The Charge of the Light Brigade. That same year, she portrayed the non-conformist ballerina Isadora Duncan in Isadora (1968) by Karel Reisz (her second Oscar nomination). In 1971, she played the unlucky queen in Mary, Queen of Scots (1971, her third nomination for an Oscar), a nun in The Devils by Ken Russel, and a girl confined in a madhouse in Vacation by Tinto Brass, which stars Franco Nero and was presented at the Venice Film Festival. Vanessa Redgrave won an Oscar for her performance as the brave and headstrong Julia (1977), by Fred Zinnemann. In 1984, James Ivory directed her in The Bostonians (another Oscar nomination) and in 1985 she played the lonely teacher in Wetherby (1985) by David Hare. She received her sixth Oscar nomination for her portrayal of sensitive Ruth Wilcox in Howard’s End(1992), once again by James Ivory. 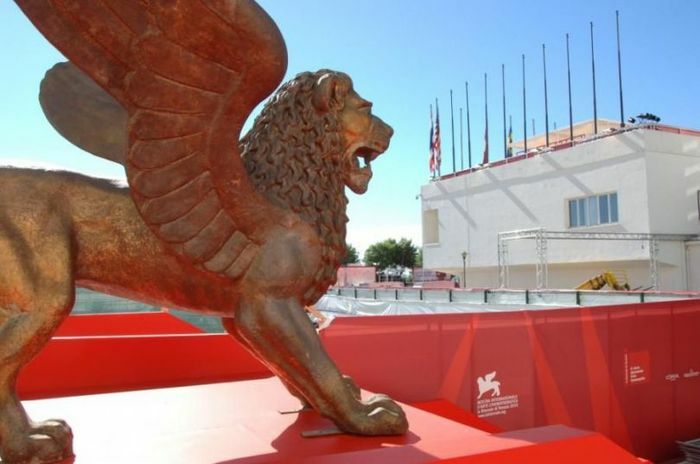 In 1994, she received the Volpi Cup in Venice for Little Odessa by James Gray. She played the bitter protagonist in Mrs Dalloway (1997) by Marleen Gorris and in 2007 she starred in Atonement by Joe Wright, the opening film at the Venice Film Festival that year.